I was so excited to participate in my first blog gift exchange. When I saw One Artsy Mama was planning an ornament exchange, I knew it would be the perfect thing for me. I have made a few ornaments in the past that I've loved, and I knew I had one in mind that I've been planning on for months. It turned out to be the perfect ornament for my exchange partner over at Domestic Deficit Disorder. Tanyia has three girls, just like me. Which meant that this bird's nest ornament with three little eggs to represent her three girls was an ideal choice. 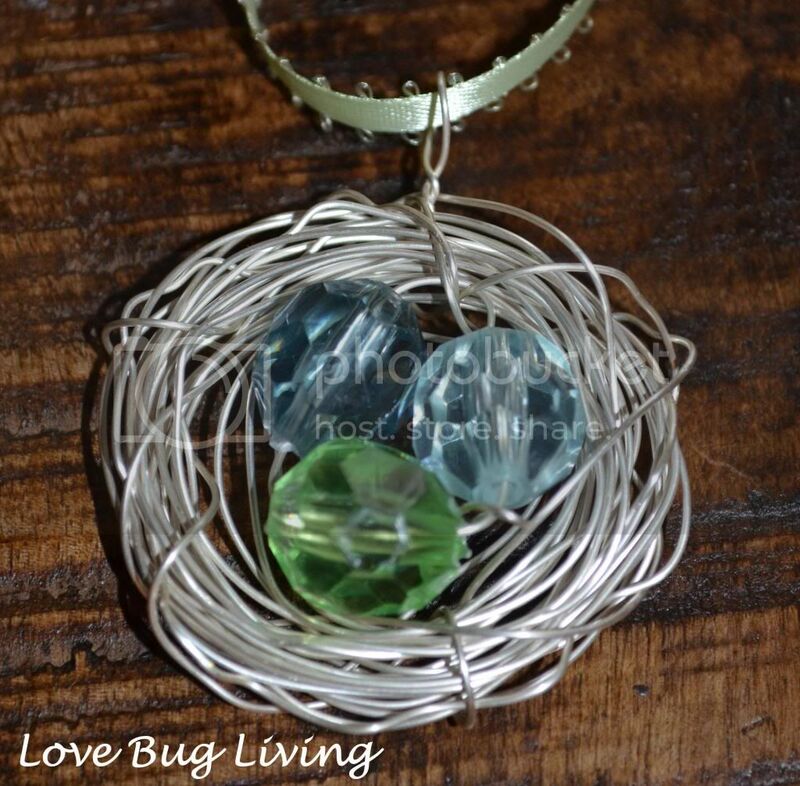 This bird's nest ornament is a great project for beginners because it doesn't have to be perfect. Actually you want it to have a few twists and bends to make it more nest like. 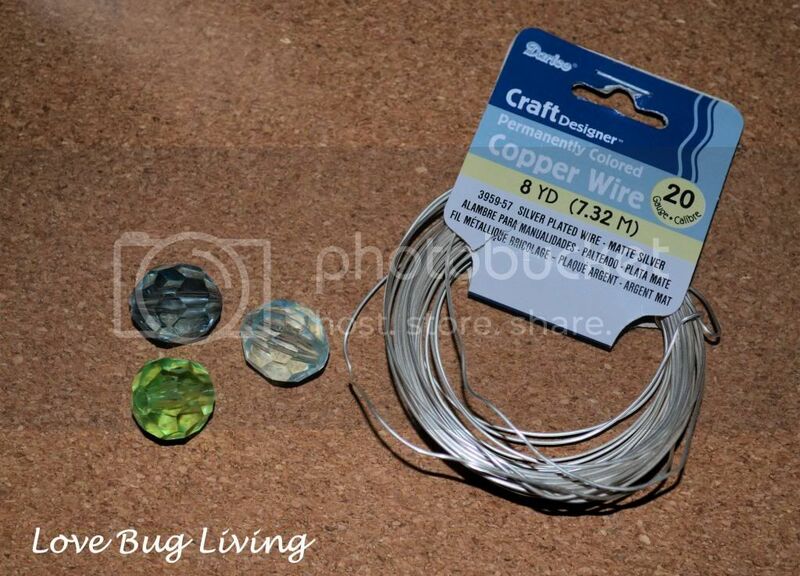 You will need to have 20 gauge wire and beads of your choice for your eggs. You will also need needle nose pliers to help with bending and cutting your wire. 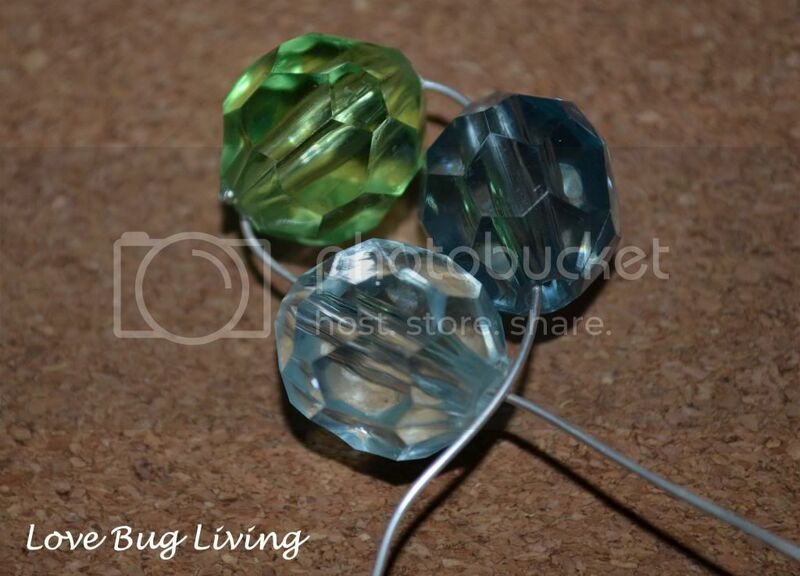 Slip your beads onto one end of your wire and slide them down a couple of inches. Bend your short end around your beads, keeping them in place. Now take the long end and start wrapping it around your beads the other way. When you are about half way through your nest, you can twist a loop to tie your ribbon to. Putting it in the middle will make it more stable. Continue wrapping your wire until it is the size you would like. 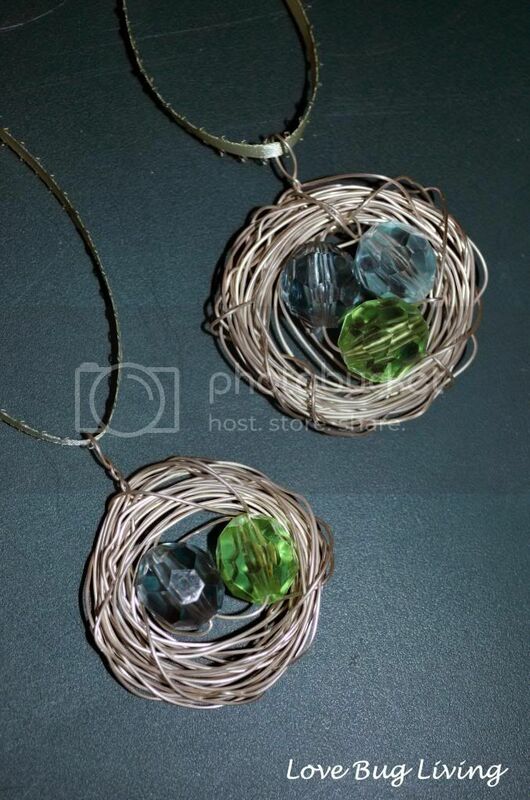 The last two times you wrap the wire around your beads, weave it around the nest as you go. This will help keep the nest wires together. Cut your wire and bend the end back to hide the rough end. Tuck it into the nest. Now you can bend your wires to create a more branchy look. Take your pliers and put little bends in your wire in all directions so that they are not so straight. If you prefer, you can skip this step, but I think it hides any mistakes and gives it a more natural nest look. 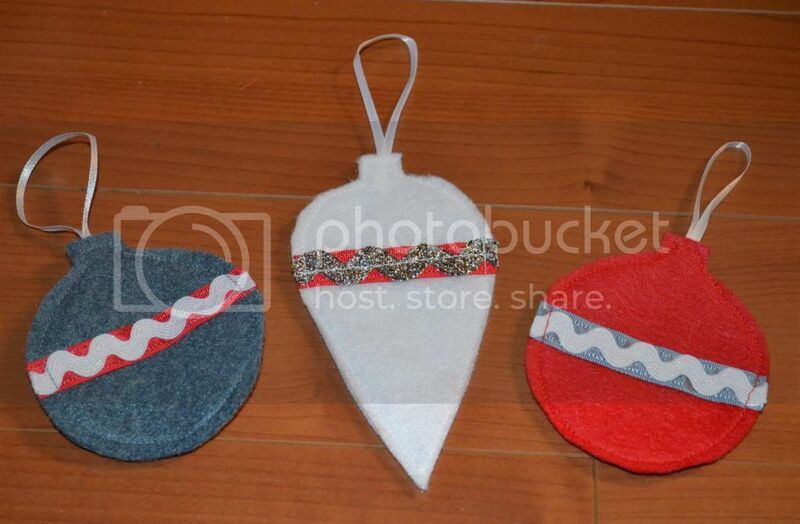 Now simply thread a small piece of ribbon through your loop to create a hanger for your ornament. 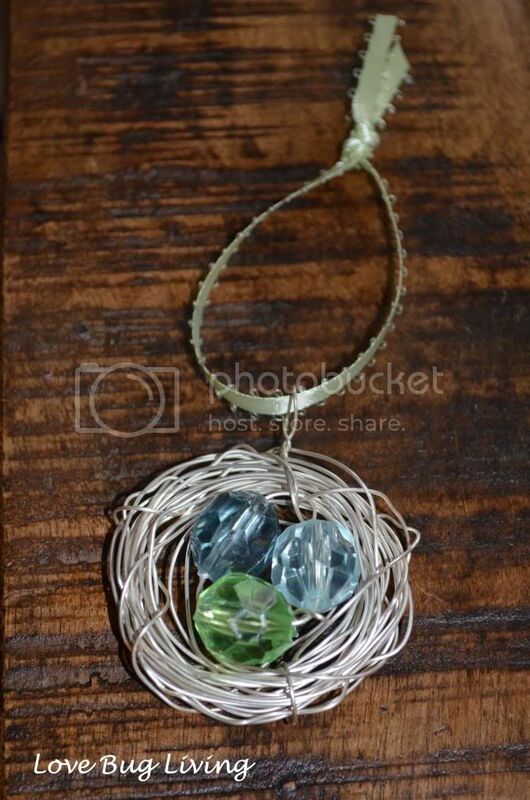 Your bird's nest ornament is now ready for giving or to be hung on the tree. It would also be adorable as a package topper. Here are the cute felt ornaments I received from my partner! Sooo cute! I've made these as necklaces and even earrings before, but never an ornament! 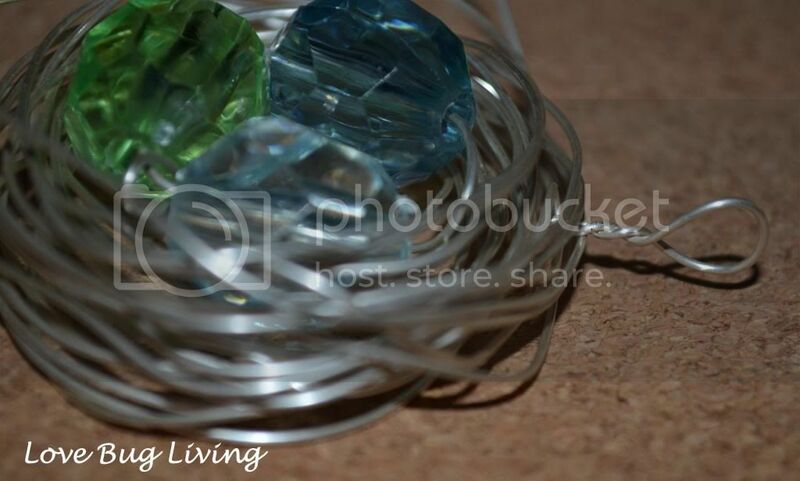 What gauge wire/size beads did you use? The ones she sent you are super cute too! Thanks! I've wanted to make one of these as a necklace, but thought this would be a different way to do something people have already seen. The wire was 20 gauge and the beads measured about 3/4" across. I found a little bag of them at the dollar store.